How to feel like a fabulous dancer, catch on to new routines quickly, regardless of age, background, or ability- in just 30 days! Have you ever passed by a dance class or event & wondered where Ms Rockstar toward the front got her ability? Oh, surely it has to be natural talent. Secretly, deep down, you may want to dance like that too. Maybe inside you love to dance. Maybe you want to relieve stress in a fun environment. Maybe you just want to stop laying down to put your jeans on. Why oh why can’t you be that fearless, strut your stuff to your spot on the dance floor & cut loose regardless of who’s watching?! I’m here to tell you YOU CAN. As a dance instructor, I have the absolute honor and privilege to work with 100s of students each year via the college & my local studio. Interestingly enough, I’ve began noticing common patterns and trends. God has blessed me with the ability to coax my new students, time and time again, out of their fearful mindset & set them free. 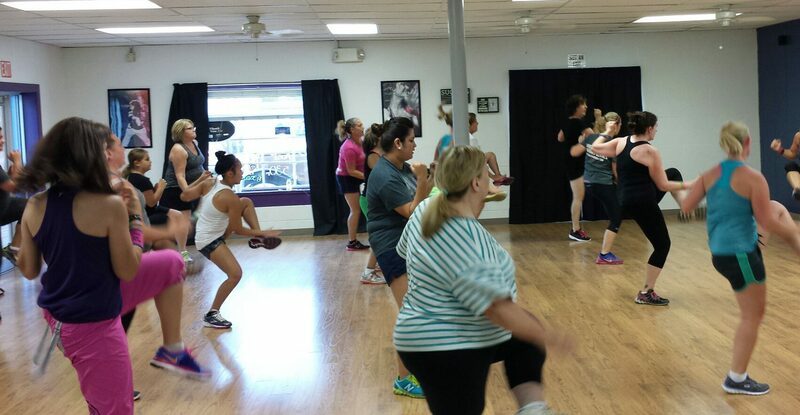 I have made it my mission to prove to the uncoordinated, unconfident, & inexperienced individuals that they too can SUCCESSFULLY & CONFIDENTLY participate in dance-fitness classes just as well as all those Shakiras in the front row. This is why I’m dedicating the ENTIRE MONTH of September to a very select few individuals who want to work closely with me, on not just breaking down moves & learning dance routines that will be used at my Studio in the future, but individuals who what to go Beyond the Moves and be fabulous dancers made for the front row. What many people don’t realize is that you don’t have to have years of experience to be successful at dancing. You can even start at any age. Let’s not kid ourselves now, the more you practice the better you become, but most people just want to let go of fear, take the floor, & blend in. They don’t have to become a background dancer for Justin Bieber. Regardless of their desired goal, survive a dance-fitness class or go professional, there are still certain skills that dancers of any level possess, and should. The main key here is confidence. If you’re willing to take a step out into faith & trust me, I can help you, just like the hundreds of clients I’ve had the honor of serving. I’m currently seeking 10 highly motivated individuals of any age, background, & dance experience (or lack there of) to work with me for 30 days. We’ll be breaking down choreography step-by-step, learning how to keep up with the class at any age or level, how to catch on to routines quickly, behind the scenes tips & tricks that make a great dancer & potential instructor, & SO MUCH MORE!! Since we’ll be working on self-improvement, I’m even throwing in my 30 Days to a Better, Healthier, Happier You email course, valued at $49, for FREE! I’m fully confident this class can help ANYONE with a desire to become a better dancer, which is why I’m so thrilled to be able to offer this VIP course at a pice anyone can afford. Note that one private session with me costs $127 or more. The price for this 30 day course is so ridiculous, so it’s crucial that all participants take this class very seriously: no whiners allowed. There are only 10 spots available (virtually or in person), so reserve yours now!